Audrey Dao is generously hosting two giveaways on her blog. 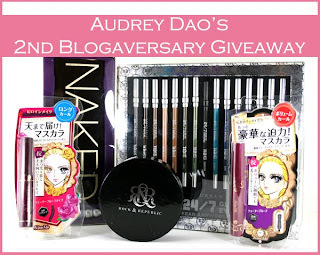 Join in her 2nd Blogversary Extravaganza Giveaway for a chance to win one of three prizes! Hi, I would like to win one of your prizes for Valrntines Day. I am susan_wilder59@yahoo.com Thank you.